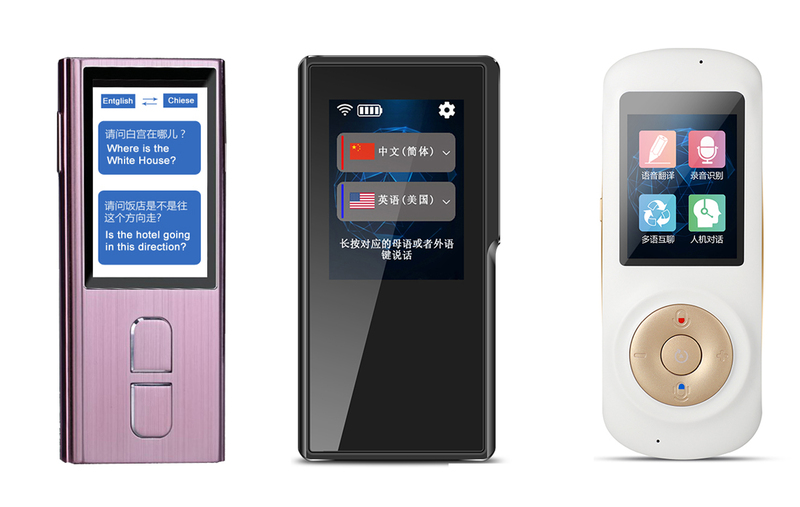 instant voice translator burst in 2018, there are a large number of different types of voice translation machines on the market, with the price range from $60 to $280, and the product quality are varies. Although this kind of product is still in the stage of continuous upgrading and exploration, the initial product launch has caused a huge response in the market. Most Company specialized in voice translator use single engine which lead to the fault language recognization and unstable and slowly process. IFLYTEK is a national backbone software enterprise, specialized in intelligent speech language technology research, software & chip product development and language information service in China. The language core technology of IFLYTEK represents the highest level in the world. In the language synthesis, language recognition, oral test and other technologies have international leading results. At present, its speech cloud has the internationally leading continuous speech recognition technology, which can feedback the dictation results rapidly for dynamic real-time correction, making the recognition accuracy better than 95%. Nuance is the largest company specializing in the development and sales of speech recognition software in the world, as a well-known voice and image solutions provider, and the backer of apple's Siri voice-recognition technology. Nuance voice technology services include voice online search, language navigation, etc. Its core technologies include automatic reasoning technology, ontological knowledge system, expert system, etc. It pays more attention to the integration of other sciences, personalized search, and higher intelligence. In other words, it is a very intelligent, user-centric search technology that needs to understand user needs. Artificial intelligence technology in recent years is constantly updated and applied market is also very hot. The principle is simply to understand and respond to human behavior. The language product is reflected in learning and updating the language system according to the expression habits of users, so as to adapt to the habits of users and realize the function of service upgrade. Artificial intelligence used in the back-end module of voice translator. There is an "adaptive" feedback module in the background of the voice translation machine, which can keep self-learning accordingly the user's voice, so as to make necessary "correction" to the "acoustic model" and "voice model", and further improve the recognition accuracy. 1)The whole construction process of speech recognition system includes two parts: training and recognition. Training is usually completed offline. Signal processing and knowledge mining are carried out on the massive pre-collected speech and language databases to acquire the "acoustic model" and "language model" required by the speech recognition system. The recognition process is usually completed online, and users' real-time speech is automatically recognized. 2) The recognition process can be divided into two modules: "front end" and "back end"
The "front end" module is mainly used for endpoint detection (removing redundant mute and non-voice sounds), noise reduction, feature extraction, etc. The function of the "back end" module is to use the trained "acoustic model" and "language model" to carry out statistical pattern recognition (also known as "decoding") on the feature vectors of user speech to obtain the text information contained therein. 3)There is also an "adaptive" feedback module in the back-end module, which can adapt and keep self-learning accordingly to user´s voice, so as to make necessary "correction" to "acoustic model" and "speech model" , further improve the accuracy of recognition.